We've reported on Fandango before, and have used it often. It's popular, and for busy movie fans, a cool electronic way to make sure you've got movie tickets before you roll up to the box office. A quick word before I go any further: NBC Universal, which pays my salary, also owns 76 percent of Fandango. That said, the company has a mobile update worth mentioning as you plan your calendar around the "Hunger Games" opening. 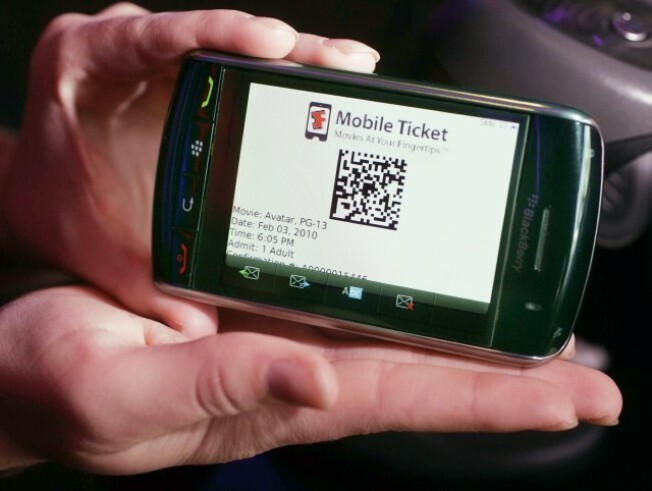 You can not only buy movie tickets via your phone, you can now also reserve your seat. No extra charge, just the typical $1.50 convenience fee theatres add when you use Fandango. This is a cool way to avoid the one problem with snagging your movie tickets early. Having the tickets in hand (or on your phone) gives you the confidence to come to the theatre right on time, and that often means lousy seats when you actually get into the theatre. If you've spent any time staring up at pixels ( I did this during the "Bourne Identity" -- rough experience), you'll wish you spent the extra few bucks for good seats. This being a convenient service, there is competition. Moviefone, owned by AOL., has many of the same features as Fandango. Flixtser is another app always just a touch away on my phone. Tons of information, and IMDB is cool, too. Lots of ways to check the movies on the go.